The number of new millionaires in Africa is steadily growing, with more than 160 000 individuals holding around US$660 billion in personal wealth at the end of 2014, according to the New World Wealth Africa Wealth Report for 2015. More impressively, the report points to Africa having the fastest growing high net worth (HNW) individual market in the entire world: the number of African individuals classified as HNW has increased by 145% over the past 14 years, compared to worldwide HNW growth of 73% over the same period. Against this backdrop, South Africa has the highest number of wealthy individuals on the continent and, despite a steadily weakening local currency, it is not excluded from these stellar individual wealth growth figures, with the number of dollar millionaires in this country rising by 9% since 2007. Given that this growth is not showing any signs of slowing down - with 2017 growth forecasts at 19%, or around 55 500 dollar millionaires in SA - the obvious question is what is fuelling the wealth of so many South African individuals and, possibly more importantly, can this ‘formula’ be replicated to raise the living standards of all members of SA society? 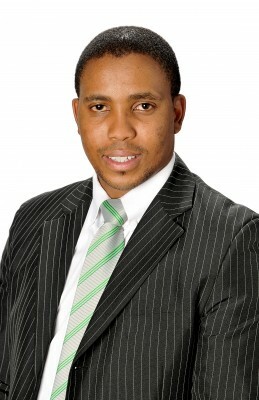 According to Luke Martins, a Financial Planner at Old Mutual Private Wealth Management, the continued growth in numbers of high net worth individuals in South Africa can be attributed to a combination of factors, including the country’s continued position as a business and investment gateway into Africa, its appeal as a global investment destination, and its robust physical and financial infrastructure. 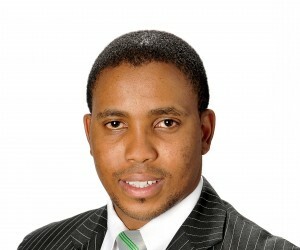 Lesego Monareng, also of Old Mutual Private Wealth Management, agrees with Martins, but believes that the success of South Africa’s BEE policies over the past 20 years has also added fuel to the wealth growth fire in this country. However, Monareng and Martins agree that there is much more to the continued increase in the number of HNW South Africans. They point to education opportunities, entrepreneurial spirit, and a willingness to take calculated risks as some of the key characteristics shared by the country’s independently wealthy. So, can this combination of factors be replicated by a broader cross-section of South African society to enable more South Africans to achieve significant personal wealth or, at least, a greater measure of financial security and independence? Martins and Monareng believe so, and explain that aspirant HNW South Africans have the added advantage of being able to learn from the experience of those who have already succeeded. He points to the main success similarities being a clear vision of what success comprises, a thorough, goal-oriented plan to serve as a map to that success destination, a diversity of income streams, and a dogged determination to avoid short-term, high-interest debt. But irrespective of how individuals set about growing their personal wealth, both Monareng and Martins emphasise that protecting that wealth is equally important. Based on their extensive experience advising HNW South Africans, they agree that the main considerations in this regard are to stick to your investment plan, avoid being swayed by emotions and, most importantly, keep on diversifying. Asked whether he believes the projections of a 19% growth in high net worth South Africans by 2017 are realistic, Martins says that while this may be possible, it will ultimately depend on the country’s economic situation going forward. “While individual attitudes and actions play a big part in personal wealth creation, there is no doubt that the performance of the local economy is a key influencer of the wealth of South African individuals,” Martins explains. Monareng agrees, but adds that South Africa’s involvement in the unfolding African economic success story shouldn’t be underestimated in terms of the individual wealth generating potential this provides.